Even though this songbook is more than ten years old, it still contains some of my favorite Robin Spielberg pieces to play. I used this book a lot with my advancing piano students, and they all really enjoyed the music. None of these pieces are what I would call easy to play, but they are all attainable by pianists with a good upper intermediate playing level. A few of the shorter pieces that sound like they would be easier are actually among the more difficult. “Spirit In This House” has a beautiful flow and a playful quality. “A Song For Jennie” is a Spielberg classic, and this transcription is faithful to the recording, but there are a lot of big jumps in the piece that less self-confident players may find daunting. “The Promise” is beautiful and full of grace. 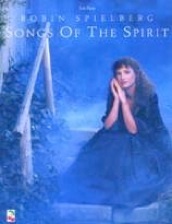 “Accepting Grace” was a student favorite and is relatively easy. “Four O’Clock Suite” is a piece that sounds more difficult than it is. Many of my students played this one well and loved it. “The Nature of Time” is one of my favorite pieces by any composer, and this transcription is very clear and fun to play. 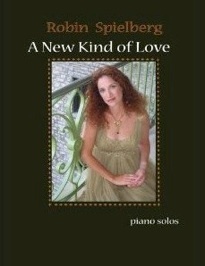 If you are a fan of Robin Spielberg’s music, you’ll really enjoy this book! 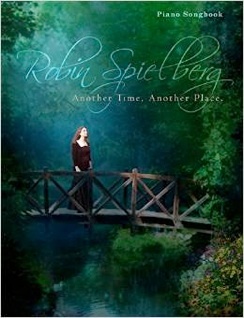 It is available from robinspielberg.com and amazon.com. Highly recommended!